If we each do even just a little, donating our time, a bit of food or money... to a hard-working charity in need, we can feed our hungry. One child dies of starvation every 6 seconds. There is no reason for that. We are one world, one family. 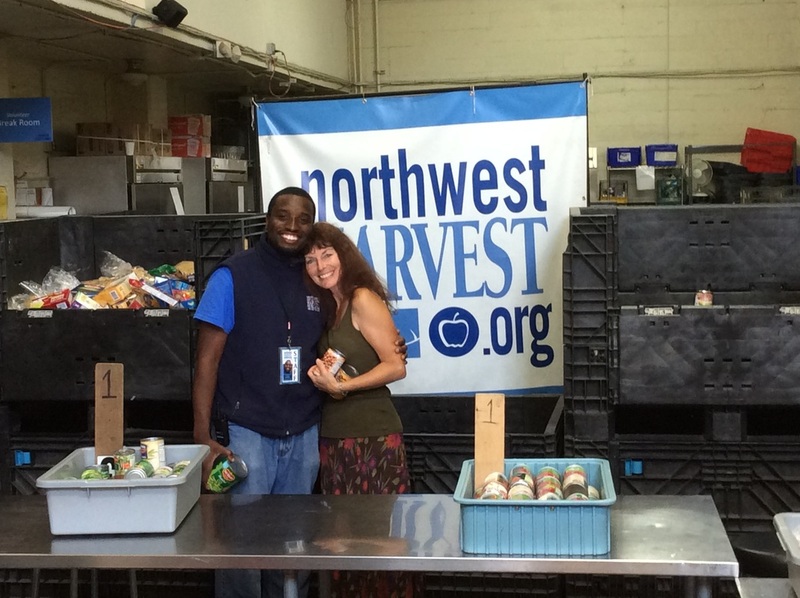 With a trip to the heart of Seattle June 22nd to meet the behind-the-scene HEROS of Northwest Harvest, especially the BIG SMILE of Irving Sandyford. Plus to witness the heart-stirring beauty of all the volunteers sorting bins of food, serving food in their meal line and distributing foods in the food bank. ALL RIGHT IN AN OLD CHURCH FACILITY on Cherry Street. With Tent City just down the road! THANK YOU SO MUCH!!!! www.northwestharvest.org Please visit Northwest Harvest's website to see what they have been doing for over 50 years to feed Washington's hungry. On KGMI radio with Bill Gorman, telling folk about my song, the FOOD DRIVE and THIS story how it all happened to FEED WASHINGTON'S HUNGRY! This is the song that I wrote in July 2016, from the seat of my little tractor, while tilling up dirt to grow greens for the local food banks. It came to me after visiting Northwest Harvest (above). My mission is to inspire others to Grow to give, give to grow. Plant a little extra. Ask farmers to donate a small bit of land for local groups and/or clubs to grow for the hungry. 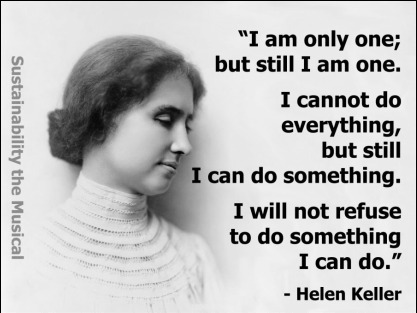 TOGETHER - we ARE the change for this world. This Spring, a wonderful 5th grade teacher from Tampa, Florida emailed me and asked if her class could sing my song. THIS is their presentation. I cried like a baby.Was completely blown away. These kids are OUR future. And their hearts are aligned and know what is important. So thrilled to hear their voices! They did an incredible job and re-inspired me! Thank you Mrs. Monty and Mrs. Monty's class!